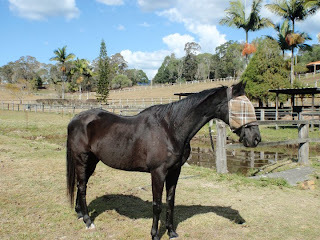 Based in south East Queensland with Sanctuaries on the Gold Coast, Scenic Rim and The Lockyer Valley, Save A Horse Australia Horse Rescue and Sanctuary was established by Amanda Vella to take in unwanted, neglected, abused and slaughter bound horses, rehabilitating them and finding them the perfect forever home. As most of you know we have Jet and Ella in Manly Road Horse Hospital having eye surgery (jet is having his removed). Ella's has been paid for but Jetty's is $980 and we are desperately needing help to get the money together. We are selling some raffle tickets for $2 each so please buy some and help us raise the money to cover his costs. Also, if you win a prize and your not horsey you get to chose a pamper pack for yourself instead. Please help us raise the $980 for jetty and share this note with all of your friends. PLEASE REMEMBER TO USE YOUR SURNAME AND "JAH" AS THE REFERENCE.